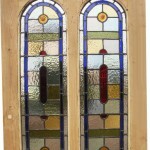 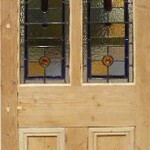 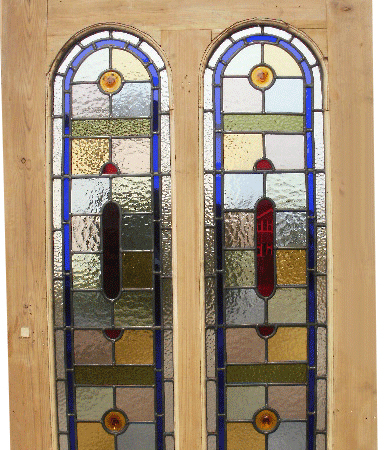 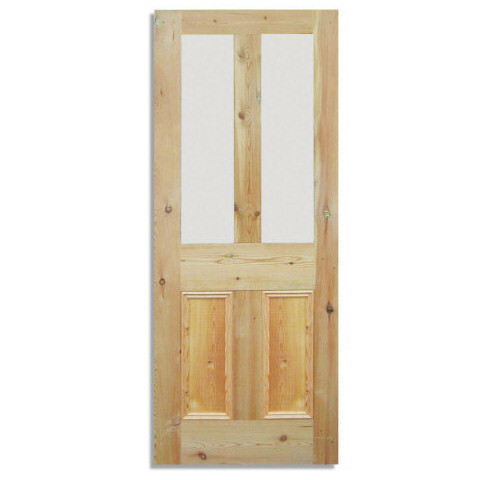 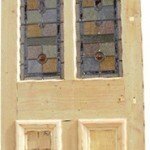 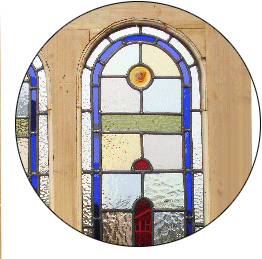 This door is made bespoke from reclaimed pine into two arched top panels with professionally made stained glass. 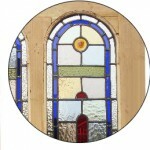 Glass made from original and new glass, releaded, cemented and fitted with glazing bead. 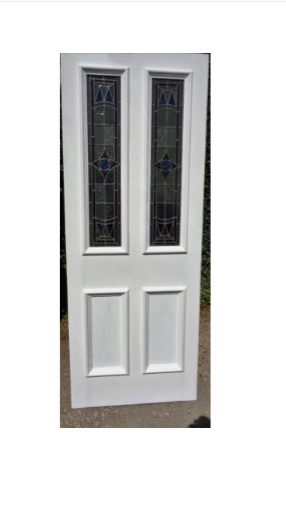 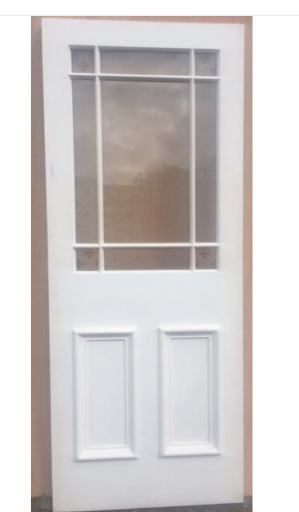 This door can be made up to 32″ x 80″ x 45mm has had ply panels and large bollection bead fitted to the front to make it watertight.